Last time on the Starfinder edition of Monstrous Physique, I headed back to the Citadel to keep statting up more aliens from the awesome game series. This week is no difference. As I feel like I’m a kind of roll, I want to keep with that momentum. As I mentioned last time, there were four alien partners in the first Mass Effect game and we’re on the third one this week. Let’s take a look at the asari! The asari are a long-lived, humanoid species. Due to their long lifespans, they are significantly influential compared to other spacefaring species. They are among one of the earliest species to take to the stars and have met with countless other species over the years. Asari are capable biotics—creatures capable of creating fields of energy fields that can move objects and other creatures—and many asari focus on their biotic abilities to become exceptional biotics. The asari are particularly inclined to meet with other species as this is tied to their reproduction. As a species, asari are mono-gendered. They reproduce through a unique process known as melding in which they copy the genes of their partner to select desirable traits for and randomize the genes of their offspring. This process usually means that asari are pleased to meet new species and individuals just as other species meet individuals of their own species with intent to mate. Asari have no precise gender, at least, not one that aligns with the genders of other species. Despite this, humans claim that asari appear as feminine humanoids. Members of other species claim that asari resemble desirable partners of their own species, suggesting that asari appear attractive to an individual, regardless of species. The melding process isn’t used exclusively for reproduction, however. This ability also allows an asari to share memories with other creatures. This process is usually reserved for friends and family members as asari consider this a personal process that signifies a deep connection. 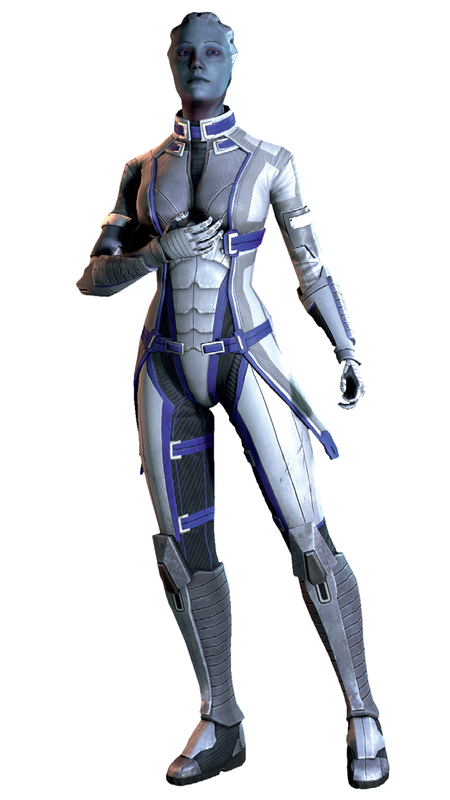 Size and Type: Asari are Medium humanoids with the asari subtype. Asari Melding: Asari can share their thoughts with other species. Once per day as a standard action, an asari can meld with a willing creature within reach. This allows an asari to share a memory of an event, treating it as if the target were recalling an event it experienced as per modify memory. The asari can use this ability to receive a memory of an event from a willing target instead. 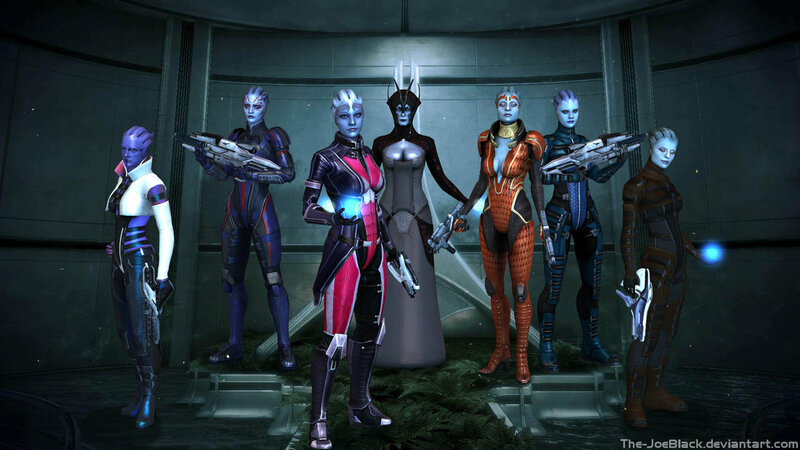 Biotic Aptitude: Asari are naturally talented at biotic abilities. They can cast psychokinetic hand as a spell-like ability at-will with a caster level is equal to their character level. They treat their caster level 1 higher when casting a spell with the word “psychokinetic” in its name. Galactic Diplomats: Asari are a long-lived species that have made contact with several species. Asari receive a +2 racial bonus to Culture and Diplomacy checks. The asari in Mass Effect are a really interesting species. Their unique physiology and interesting history makes them a really compelling species. However, I feel like that they are mostly known for their affinity towards biotics. Unfortunately, there’s not really much going on in Starfinder that really resembles the biotic abilities in the game. I did something that I felt kind of gives a taste of the biotic abilities. I intentionally chose “psychokinetic” spells as part of their aptitude in hopes that there will be more spells of that sort in the future. I also found the melding aspect of the asari interesting so I added the melding ability to the race write up. Modify memory doesn’t do exactly what I wanted it to do, but it’s easy enough to tweak. The final ability relates to their history of contacting several species, so it’s stolen wholesale from the shirren! That’s it for this week! If you end up introducing asari into your game or you have any request for a future Monstrous Physique, please drop me a line at KnowDirection@hotmail.com. I’m Commander Shepard and this is my favorite blog post on the Citadel!